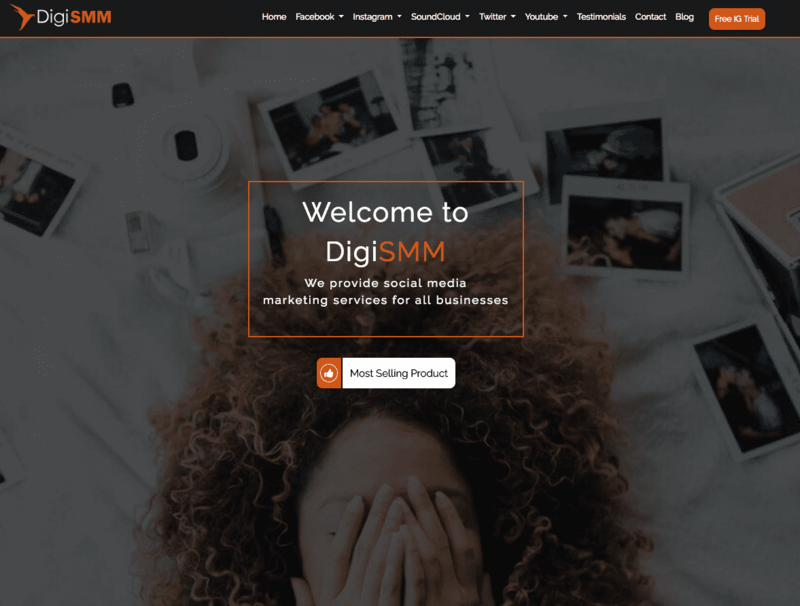 DigiSMM offers social media interactions for Facebook, Instagram, SoundCloud, YouTube, and Twitter. It’s a US-based marketing company that started in 2016, and what sets DigiSMM apart is their promise of real interactions delivered instantly. The company’s website looks sophisticated. It isn’t showy, and it presents the company’s services and features in a straightforward manner. 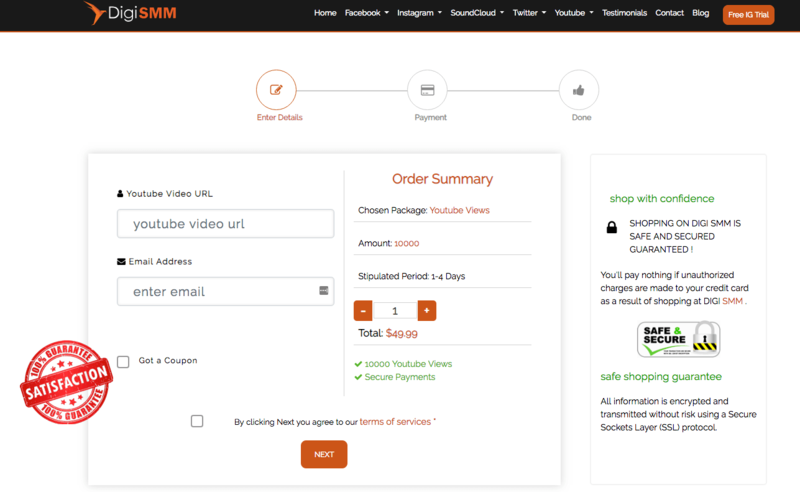 Ordering is also very simple as all you need to do is choose a package, type in the social media URL and email address, then pay using PayPal, your bank account, or credit card. DigiSMM’s refund policy is only for services that are not delivered on time, and their refill or replacement warranty is only for their followers service. The company’s support team can be reached by filling out the contact form or through Skype. There is also a live chat window on their website that you can take advantage of. It will really help if DigiSMM further defines their instant delivery, so we’ll know how many minutes, hours, or days we have to wait for the service to be delivered. The company offers one million views, which is impressive. The suspension of their YouTube views service is a turn off though, especially since they haven’t provided any explanation regarding it. We will check the availability of this service from time to time and will let you know when it’s available again. For now, there are plenty of other active providers to check out on our website! 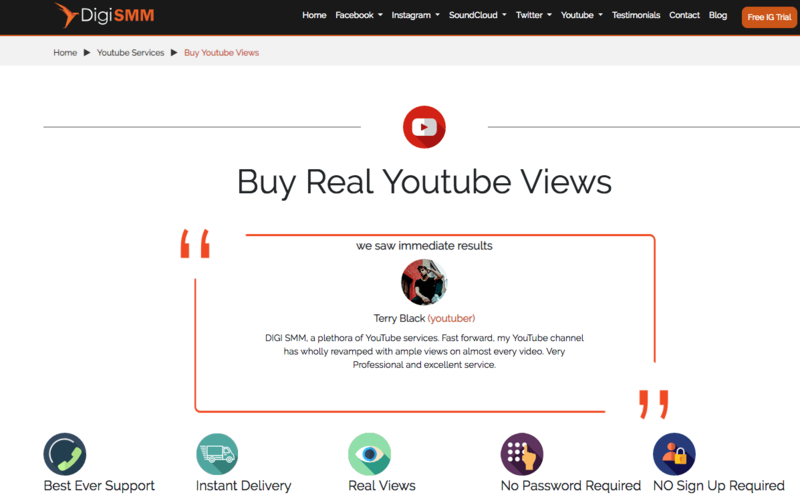 Have you tried DigiSMM’s views service? Share your experience by posting your own review below.